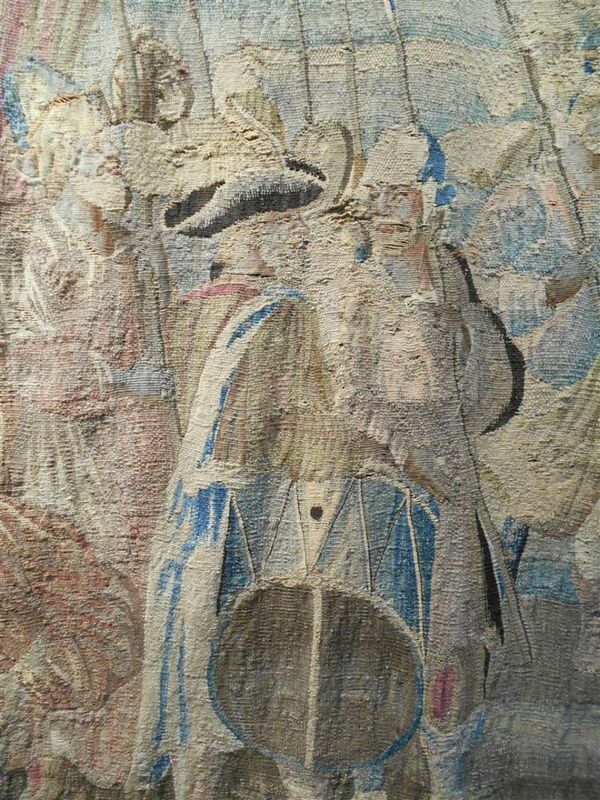 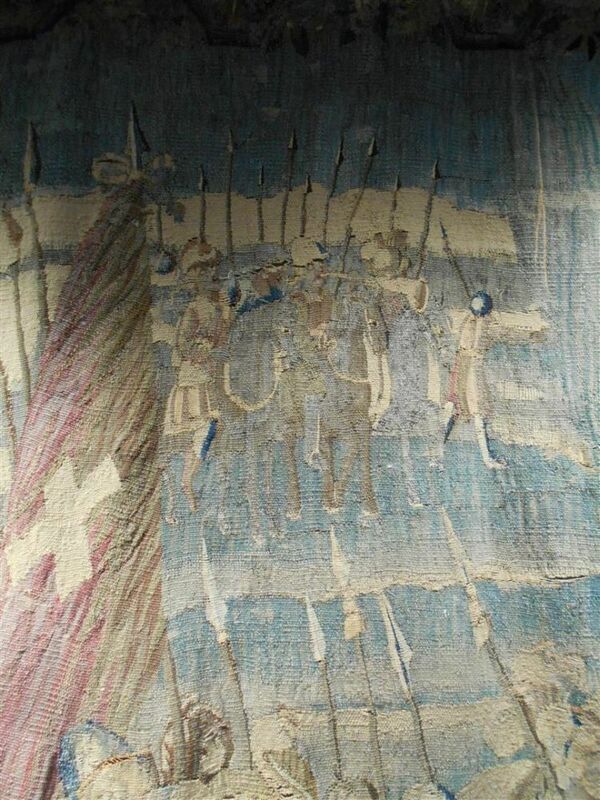 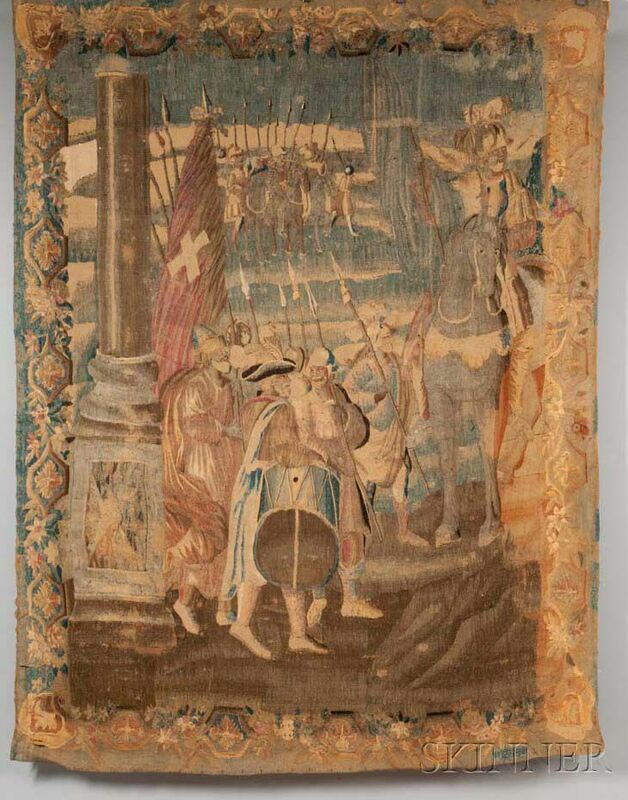 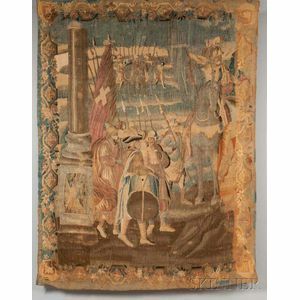 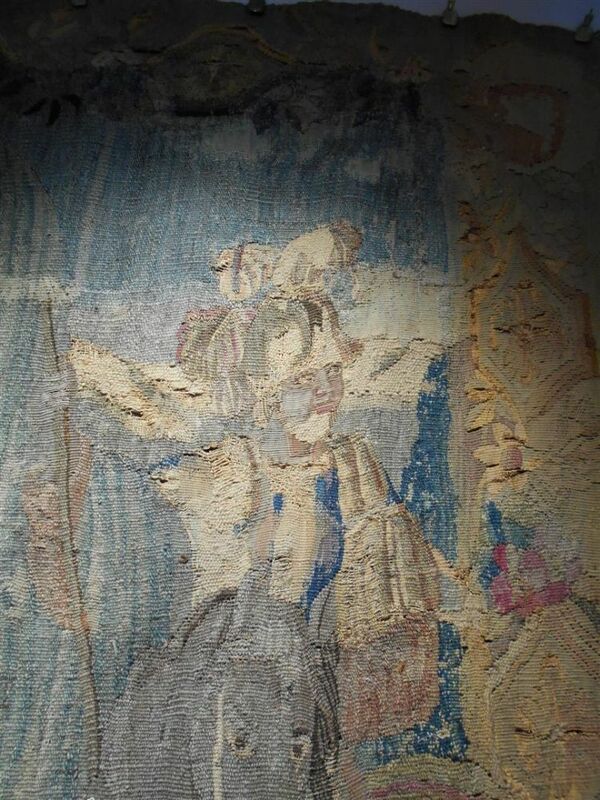 Aubusson Tapestry Fragment, late 17th/18th century, depicting foot soldiers, possibly Swiss Guards, before a field of battle, approx. 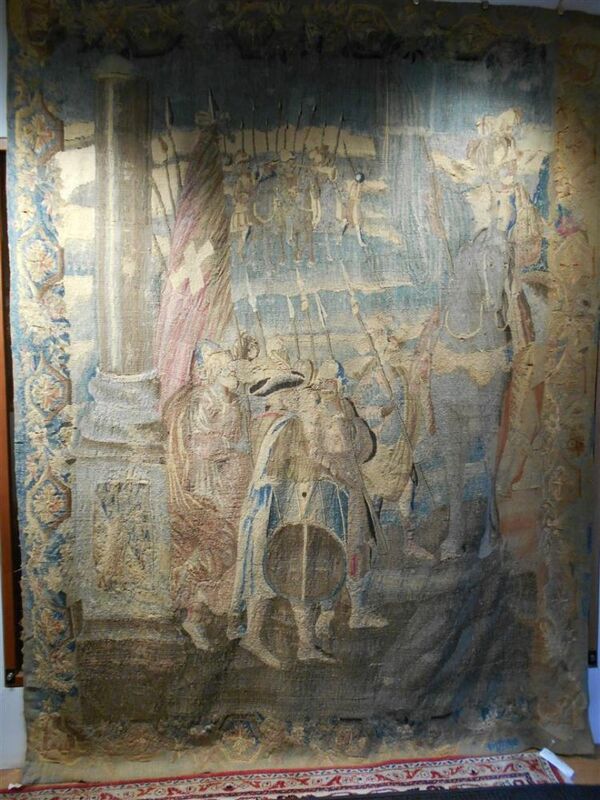 115 x 88 5/8 in. 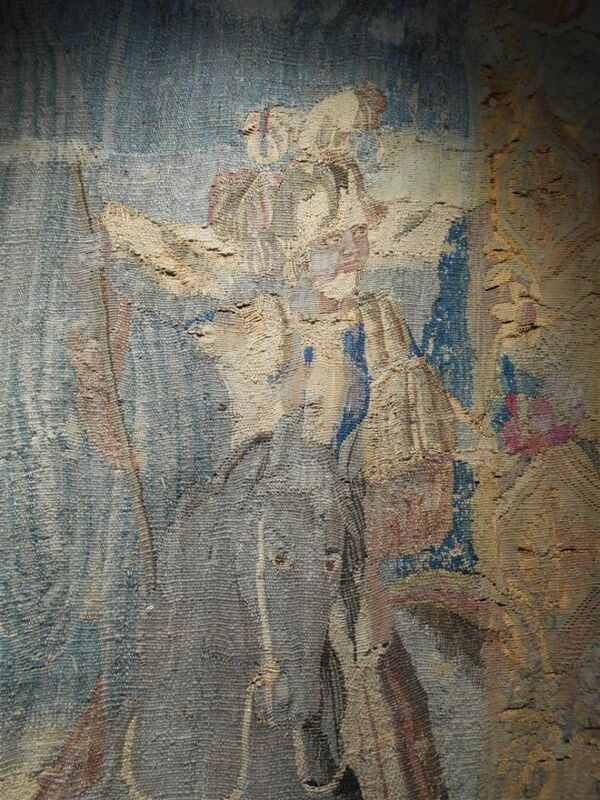 Faded throughout; numerous areas of repairs and patching.